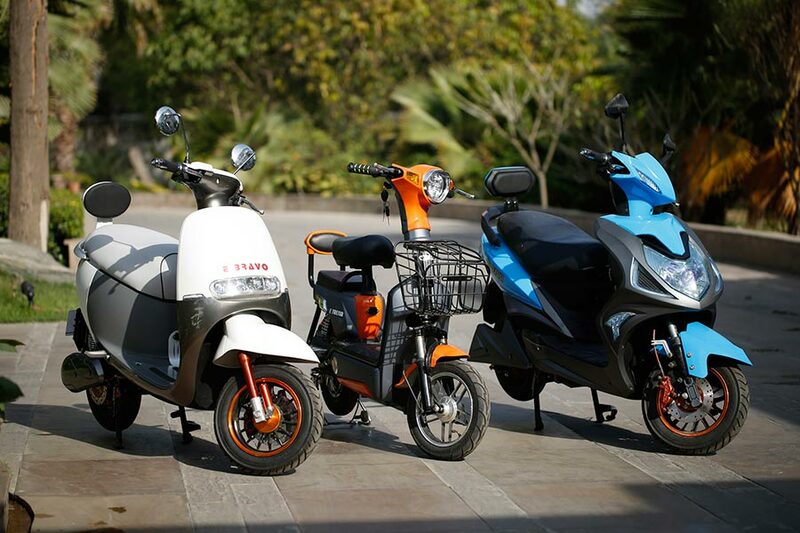 With the growing need for eco-friendly transport across Indian cities, OK Play, the manufacturers of India’s first 100% indigenously designed and developed pollution free plastic body E-Vehicles , now drives into E- Two Wheeler segment with 100% indigenously designed, developed and manufactured in India, the next generation, environment-friendly, zero pollution Green E-Scooters & E-Bikes. The Models launched are E Letriko, E Bravo, M-Ezee, Funk E, Self E and E Trend. With government efforts like FAME (faster adoption and manufacturing of hybrid and electric vehicles in India) and NEMMP (national electric mobility mission plan), the electric vehicle market, including two wheelers, has been growing rapidly. With the government’s aim to make India an E-mobility nation by 2030, the launch of our Electric Two Wheelers will be our humble contribution in providing pollution free vehicle transport solutions. The next generation OK Play E-Bike & E-Scooters have multiple advantages. Apart from being lightweight, OK Play E-Two Wheelers are made from the highest quality plastic which is completely safe, rugged and sturdily designed for the latest generation with easy to grip handles available in a range of vibrant colours .These two wheelers can also be easily charged at home. Presently the Indian two wheeler market contributes to 80% of the total Automobile Industry and the top 10 cities such as Maharashtra, Tamil Nadu, UP, Gujarat, Karnataka, Rajasthan, Madhya Pradesh, Kerala, Delhi and Andhra Pradesh contributes to 80% of this Two Wheeler industry. Mr Handa looks for 30% conversion of this Two Wheeler Industry into E-Vehicles and he plans to capture 10% of this market in the next two – three years. OK Play E-Two Wheelers will be manufactured in the state of the art manufacturing plant located at Sohna, Kurukshertra, Surat, Ahmednagar, Ranipet, Kolkata, Guwahati and in Cuttack. These plants are with the capacity of producing thousand E-Two Wheelers per plant per shift with a total production of approximately 96000 vehicles per year. Mr Handa further said that his valuable customers will be supported with service after sales through its dealer’s network and authorized service centres having stock of genuine spare parts and a team of company trained man power. The light, sturdy, comfortable and aesthetically designed OK Play E-Scooter & E-Bike would provide safe, affordable, convenient, pollution-free transport solution to commuters, a real blessing, especially in large metros like Delhi which are struggling with a dangerous level of vehicular pollution. Kindly find attached a high resolution picture of the OK Play E-Two Wheelers.